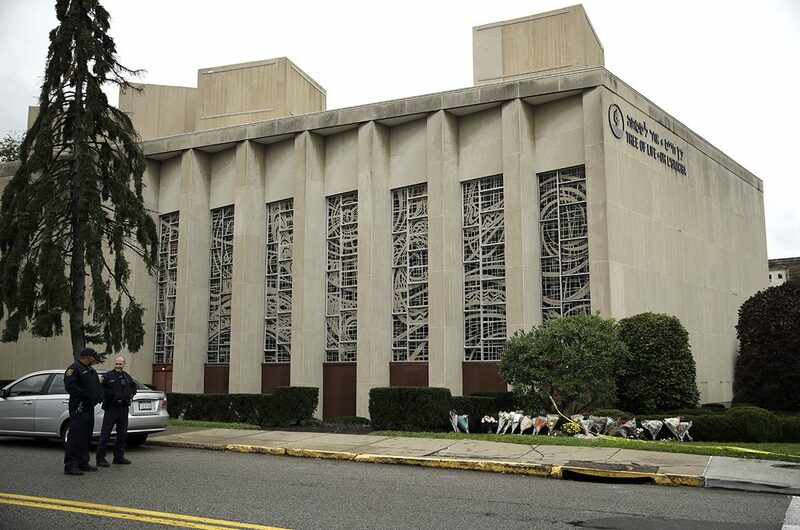 The American daily newspapers were still being flooded with stories on migrant caravans and Saudi journalists when a new report came in on 27 October: The Tree of Life synagogue in Pittsburgh, Pennsylvania, had been the site of a hate crime that cost 11 lives. Classified as the worst anti-Semitic attack in American history, the Pittsburgh shooting occurred at the hands of Robert Bowers, who plead not guilty in court after having surrendered to the police. He faces 44 federal charges, including obstruction of the free exercise of religious belief resulting in death and use of a firearm to commit murder during a crime of violence. 32 of Bowers’ crimes are punishable by death penalty, which is still used in Pennsylvania. The attack was met with public outcry all around the world. Experts are worried about rising sentiments of anti-Semitism, particularly in the US. The controversial Charlottesville protests had right-wing extremists shouting ‘’Jews will not replace us’’ and claiming that the city was run by Jewish communists. For some people, it isn’t just a worrying trend, but a legitimate safety concern. 91-year-old Holocaust survivor Magda Brown was scheduled to speak at an event organized by the Holocaust Center of Pittsburgh a day after the attack happened- and she went regardless. She says: ‘’I was invited to tell my testimony, and then this killing happened that made my subject matter more important than ever’’. It is still shocking for the numerous Holocaust survivors living in the US to see these things happen in a country that was deemed a safe haven during World War 2. I’ll be honest- this attack pained me. I couldn’t believe it. I was shocked by the hurt I felt thinking of the pain those left behind must be going through. I grew up in a Dutch city that had a lively Jewish community before World War 2. Only 26% survived, and just a handful came back from direct deportations. From a very young age, I was made aware of the tragic history of the Jewish cemetery and synagogue that I passed by when biking to school. In 2015, I decided to join a province-funded exchange program that allowed a group of students from our town to travel to Poland as the Dutch delegation in an international remembrance project. Freshly 16, I boarded a plane to Warsaw, then a bus to Wlodawa- a small town near the borders with Ukraine and Belarus. Wlodawa has a beautiful historic city center and impressive churches, both Catholic and Orthodox. However, we were there for another place: the Sobibor death camp, located about 10 kilometers away. In 1943, an uprising took place at this concentration camp, where 250.000 people were murdered in roughly 1.5 years. We drove quietly after having prepared a remembrance ceremony to honor the victims and recognize those who led the uprising. Sobibor is, without a doubt, the strangest, most unsettling place I have ever been to. The trees around the park itself are burnt- like tall used matches, sticking from the ground at awkward angles. It was completely silent- we saw birds, but never heard them. It was bizarre- 400 students, holding candles, staring at the ash hill where ovens once stood. We walked along the Himmelfahrtstrasse, a beautiful path lined with immense pine trees and rocks, each inscribed with a name of a victim of the Holocaust. One of them was for an unborn baby; a small stone, next to that of an expecting mother of 24 years old. I cried. The Polish fall sun burnt above our heads as we laid down a flower wreath. We walked among the archeologists who had, days prior to our arrival, found the remains of the gas chambers, despite an attempt by the Nazi’s to destroy all of Sobibor after the ’43 uprising. A fellow student knelt down and pointed out to me that the ground was littered with tiny fragments of human bones. Real human bones, burnt and smashed to irreconcilable pieces, littered in the grass like a light cover of snow. I cried again. It was too much- I had talked to several survivors of this exact camp, I had heard their stories, I thought I knew what to expect, but I was wrong. Nothing could have prepared me for the ghastliness of the ground I was standing on in that moment. It has been years since I went to Sobibor, but it is easily one of the most vivid memories I have. Maybe that’s why the Pittsburgh shooting, the Charlottesville cries, and the neo-Nazi parties make me so hopeless. In some ways, I hope that everyone will at some point get to visit a camp like Sobibor- just to remember, and to say never again, with conviction. At the moment of writing this, all the Holocaust survivors I have spoken to in my life have passed away. If you read this, I hope you will help me to protect their legacy; their stories and their hope for the world to never let this much hate manifest ever again.